Posted April 11, 2019 at 8:48 pm . 0 comments. We’re clearing out the EF 70-200mm f/4L IS USM via our street price program. 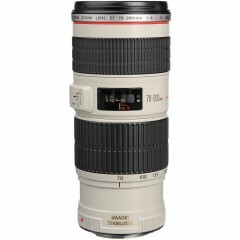 This lens is now $899, brand new, from authorized Canon dealers, while quantities last. It comes with a 1-year Canon USA warranty, free shipping, and no tax is collected. A limited quantity is available.